You’re working with some of the most forward-thinking Professionals that Real Estate has to offer and receiving the highest quality service across the country with the industry’s most cutting-edge technologies, You’ll have access to up-to-date listings, market statistics, and helpful tools to assist you in locating the exact house that you’re looking for. Just change these settings to update the prices across the entire website. If you need help figuring out your numbers our Home Loan Provider is more than happy to help explain things. Call 405-808-4412 and ask for John Mayhue. Im ready to guide you through all of the decisions in the process,and I'm confident you will be comfortable knowing that all will be done with integrity and to your satisfaction. My dedication to you extends long after the closing and for years to come. 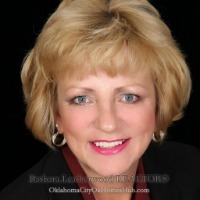 "Monty Hall reviewed Barbara Leatherwood Realtor Exp Realty YUKON Ok.405-301-7824 — 5 star September 8, 2017 · If my wife wasn't already my realtor, Barbara would be!"